All Things Katy! : Uh-Oh, We're In Trouble...! 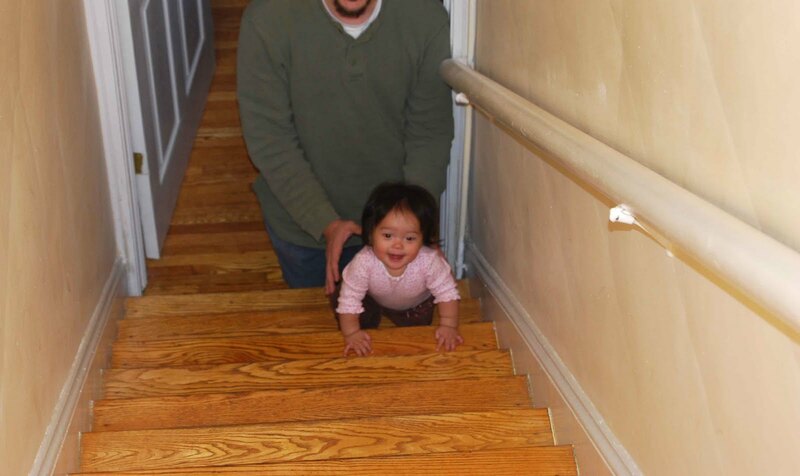 Katy is so proud of herself for climbing the stairs! 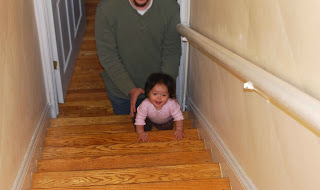 As if we didn't already know it, we are officially in trouble- you have learned how to climb the stairs! I was taking laundry upstairs and you followed me to the stairs, Katy. We didn't think that you could manage the climb, but you proved us (very!) wrong when you proceeded to successful follow me up the stairs!